Printing and Finishing — East of Ivory // creative co.
Want to know what printing techniques we offer, or would like to get a better idea of what they are? You've come to the right place. Digital printing is the method of printing directly from a digital file, instead of using printing plates (called offset printing). It is a great option for couples looking for a fast turnaround or for a more affordable option. Unlike the pressed-in letterpress look, digital printing is flat. Letterpress is the oldest form of printing where all, or part, of your design is inked and pressed into paper. 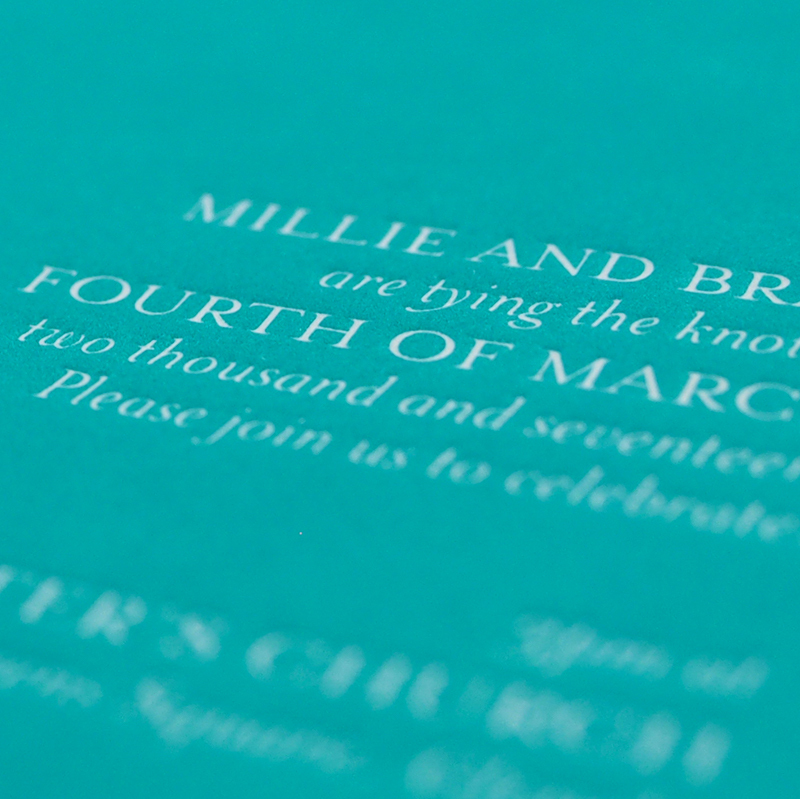 This gives a really beautiful texture that your guests can see and feel, and is perfect for wedding invitations. Blind deboss, like letterpress, is the method of indenting the design into the paper... but without the ink! The design is made out by the impressions left in the paper. Heat and pressure is used to apply stamping foil to your design. 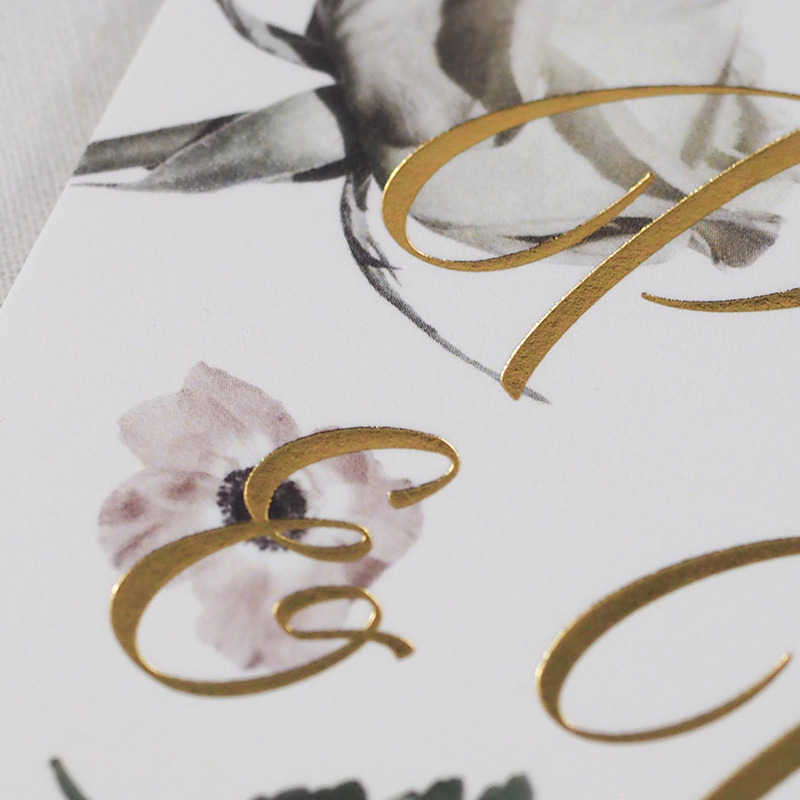 Known for its elegant addition to printed work, you'll be most familiar with it in gold and silver. We can also offer you a great range of coloured foil options, should they take your fancy! Colour edging, rounded corners, embossing, virkotype and more! Don't see the printing technique or finishing option you were hoping for? Not to worry, get in touch and see if it's something we can do for you!